The massive Pisgah National Forest is divided into three districts. 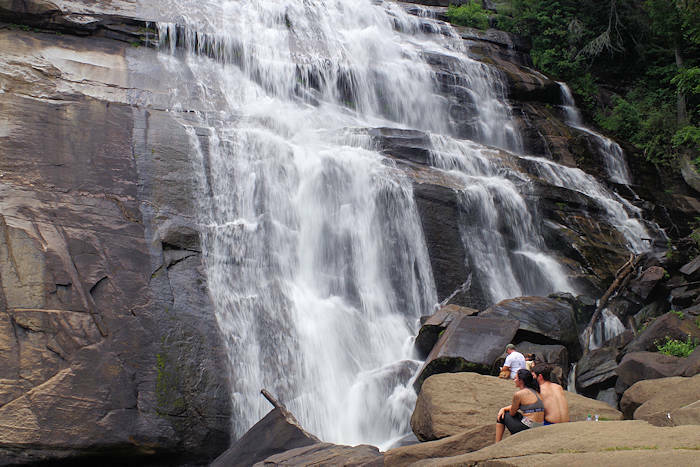 The Pisgah Ranger District includes the Brevard area with places such as Looking Glass Rock, Sliding Rock and many waterfalls. 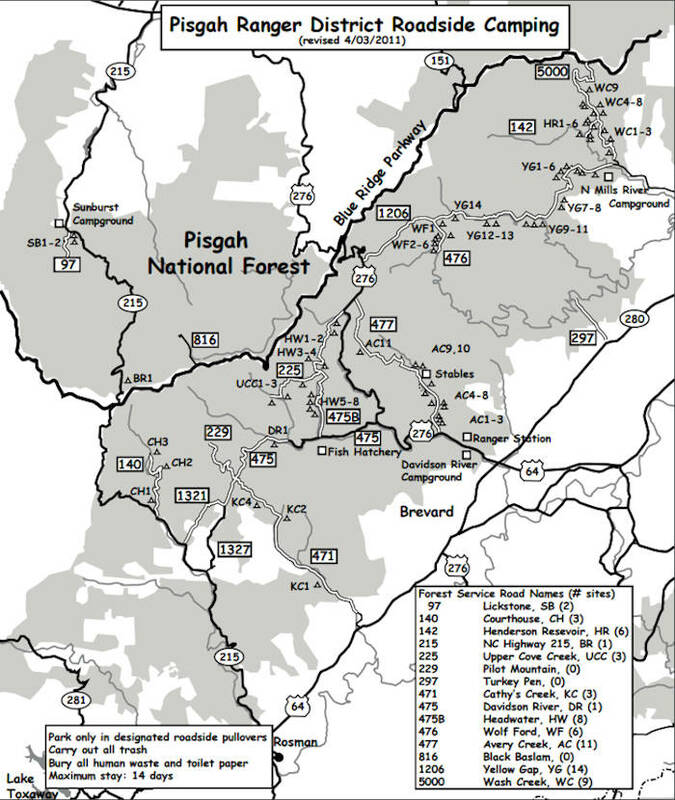 Within the Pisgah Ranger District there are a number of disbursed roadside camping sites that are available free of charge on an as-available basis. These campsites are located alongside gravel roads throughout the district and include a parking area, tent pad, and fire ring. Toilet facilities and drinking water are not available. The following regulation must be adhered to and are strictly enforced by USFS Law Enforcement. Roadside camping is allowed at designated campsites only. Signs designating a legal campsite show a camping symbol and a site number (for example “AC-3” for Avery Creek site 3). 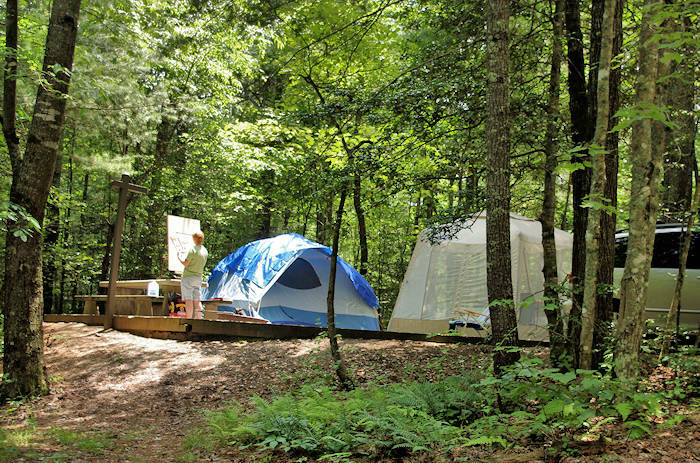 The National Forests in North Carolina have a policy which allows for campers to occupy a roadside campsite for a maximum of 14 days out of a 30 day period. If a camper changes locations or moves to another campsite within 10 miles of a previous campsite the maximum stay limit of 14 days applies to all sites occupied. All vehicles must be parked so as not to block the roadway. Vehicles may not be parked behind parking barricades such as boulders that are designed to prevent damage to the campsite. Campfires are allowed only within the metal or stone fire ring provided on the site. Building of additional fire rings is not allowed. All camping equipment and tents must remain on the designated tent pad. Collecting ‘dead and downed’ firewood in the forest is permitted for camp fires. It is illegal to cut, chop, or saw live or standing trees or other live growth. Do not chop into or drive nails into live trees. Without permission, it is illegal to establish and set up a campsite for the purpose of reserving a camping place. The campsite must be occupied on the night it is set up by a minimum of one person. Without permission, it is illegal to leave a camp unattended for period of more than 24 hours. It is illegal to fail to remove all camping equipment, personal property, trash, and refuse from a campsite when vacating or leaving that area or site. No toilet facilities are provided. It is mandatory that all human waste be buried at least 6 inches deep and a minimum or 200 feet from a stream, trail, or campsite. Trash pick-up is not provided. Trash must be collected and disposed of properly. 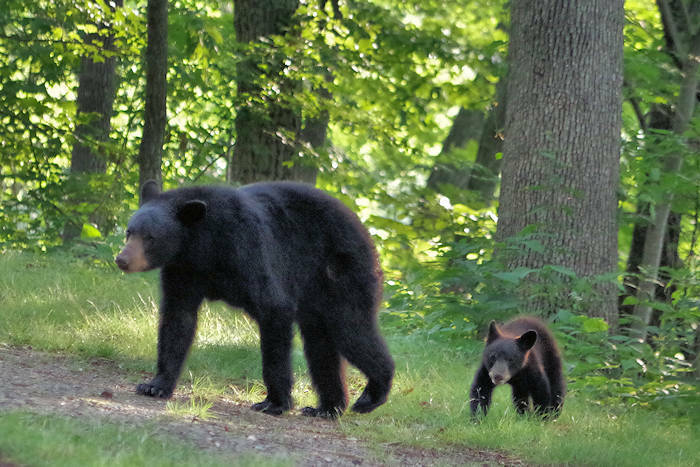 Garbage dumpsters are located at several district campgrounds and picnic areas as well as at the ranger station parking lot. Failure to remove or properly dispose of trash is a crime and law enforcement officers will issue citations for littering if trash is strewn about or not properly disposed of. Campers are responsible for observing special regulations such as the alcoholic beverage prohibition in place on Avery Creek Road (FSR 477).